Apple and Samsung have issued alerts about faults on some of their phones. Apple has begun a replacement programme for some of its iPhone 5 handsets that have a faulty sleep/wake button. Separately, Samsung has revealed that some of its flagship Galaxy S5 handsets have been shipped with a non-functioning camera. It said anyone who bought an S5 with a faulty camera should contact Samsung’s customer service or their mobile operator to get the phone replaced. 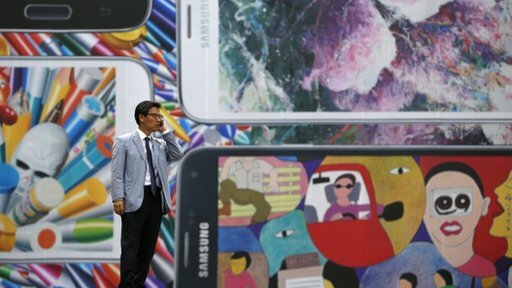 Samsung said it had found a “very limited” number of handsets had been shipped with the fault. It said it had traced the cause of the problem and had taken steps to ensure it did not re-occur in future production runs. “We have discovered that the issue has been seen in a very limited portion of early production Galaxy S5 units, and was caused by complications in the Read Only Memory component which stores the information necessary to operate the camera,” Samsung said in a statement. Samsung declined to say how many handsets were affected but did say that the faulty handsets had been reported in the US and several other countries. Apple said a “small percentage” of iPhone 5 handsets were affected by manufacturing problems that meant its sleep/wake button stopped working or only worked intermittently. It said it would replace the sleep/wake mechanism in affected phones free of charge. To help customers it has set up a webpage on which they can enter the serial number of their phone to see if it is in the affected batch. The faulty button is believed to affect iPhone 5 handsets manufactured before May 2013. The replacement programme begins in the US on 28 April and rolls out worldwide on 2 May. Customers with affected handsets can either post their device to an Apple repair centre or drop it off in person.